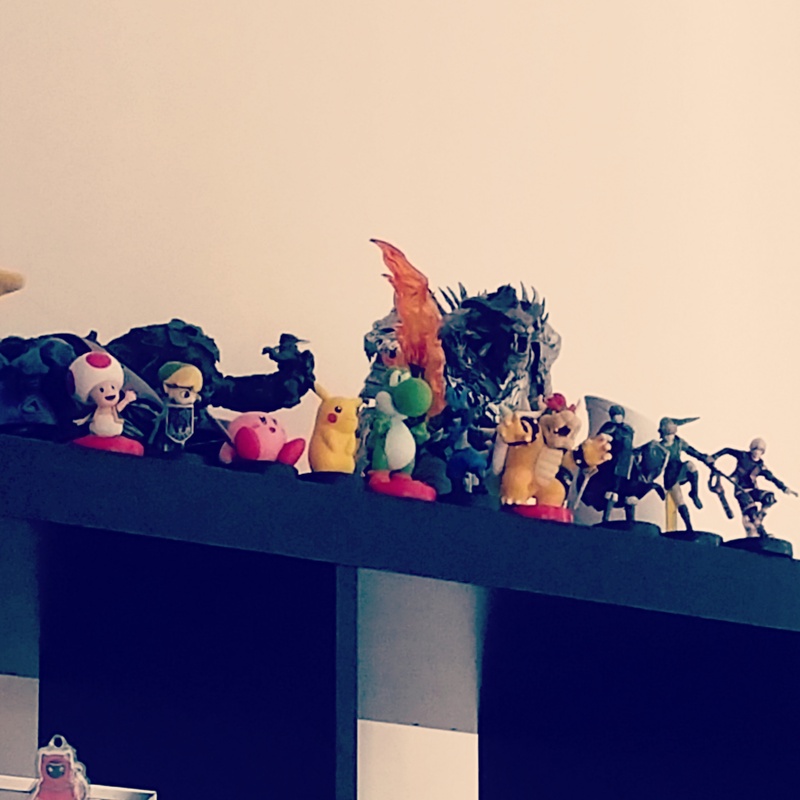 I did my best to turn a blind eye to anything related to Amiibos when they first came out. Having been caught up in the Skylanders craze – selling them when I thought I was over it and then purchasing them all a second time. Oh the regret. I thought I knew better than to start with Amiibos. I mean, I don’t really play Smash Bros all that much. You could even go as far as to say I have played my own copy once when I had friends over. After my friend got a Pikachu Amiibo I had to get one also. Just the Pokemon ones I reassured my husband. After all you have to collect anything Pokemon, right? That’s the whole point of the games themselves. It’s in my blood. Suddenly I realised I also needed Kirby as he was my main for so long before Villager came arrived. Thanks to the internet, a husband that works in gaming retail and scalpers I began to realise how rare they were becoming which triggered the obsessive collector inside of me. I promised myself I would only purchase the Amiibo I truly liked. I have kept that promise. Only preordering a few and then picking up some at the shops here and there. Even with this plan of attack I still have the beginnings of a plastic army. The dodgy photo is because I am still sick post surgery and am casually dying on the couch. This morning I woke up with news that I would have to try to avoid buying even more Amiibos. Oh god. I AM SO WEAK? How can one not buy them? I don’t even want to use them but I need them in my life. Not only am I torn about buying a few of the cool new ones (I already have Ness, Charizard and Jigglypuff preordered) I can’t choose what colours I want for this guy..
Because of this I pre-ordered the pink and the blue. The green one comes in the collectors edition of Yoshi’s Woolly World so if that releases in Australia (who knows) I will get that too. Which Yoshi would you choose guys? I’m so conflicted. Blue? Green? Pink? All three? These Amiibos are so precious. 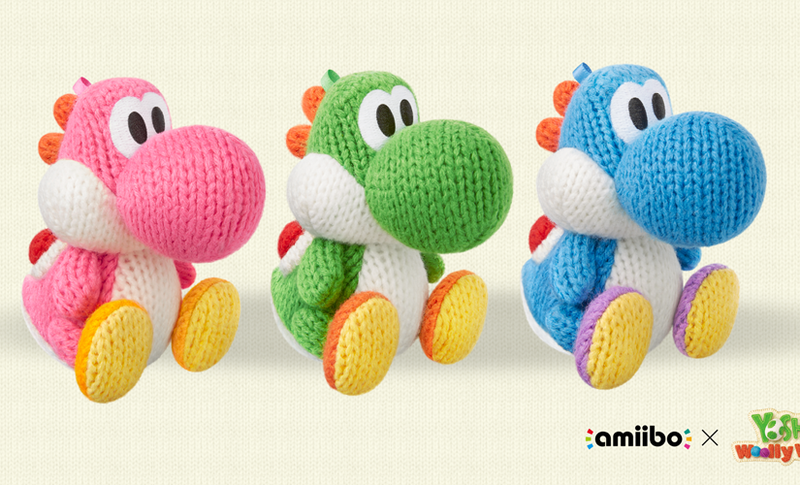 I like all of the wooly Yoshis! It seems like that game is generating good buzz. Yeah! I feel like I need to get all three of them! We were the same, “Only the Pokemon ones” we said. Soon that was “Only the ones that look cool” and now it’s “Whatever one’s we see in store”. However after the last Direct, we ordered all the Splatoon ones and a bunch of the new Smash ones along with the Yoshis plus the games. I feel you there! The disease is very contagious! Those Yoshis are so cute. I’ll get a green one if I can. It’s crazy how hard Amiibo are to buy!